Imperative (outside) was up late to win the 2017 Charles Town Classic over Matt King Coal (#4) and War Story. Photo by The Racing Biz. Headlined by Grade 1 winners Diversify, Girvin and Hoppertunity, a total of 48 horses have found their way into the nominations for the $1,200,000 Charles Town Classic to be run over the Charles Town oval coming up on April 21. The Grade 2, 1 1/8 mile test will anchor a 13 race program at Charles Town that kicks off with a special 12:30 P.M. start time. Lauren Evans and Ralph M. Evans’ Diversify made his mark in the handicap division in 2017 by taking the Jockey Club Gold Cup (G1) over the likes of Keen Ice, Pavel and Good Samaritan following a pair of dominating scores against New York-bred stakes company. After choosing to bypass the Breeders’ Cup Classic, the Rick Violette trainee followed that up with a fourth-place finish as the favorite in the Grade 1 Clark Handicap in November. The now five-year-old has been progressing steadily towards his seasonal debut, most recently working a five-furlong bullet in 1:00 2/5 on March 28 at Palm Meadows. Much like Diversify, 2017 Haskell (G1) champ Girvin has been gearing up for his 2018 campaign for owner Brad Grady and trainer Joe Sharp down at Sharp’s Fairgrounds base. Following his win in the Haskell, Girvin turned in an 11th place effort in the Travers (G1) and fifth place finish at Remington Park in the Oklahoma Derby (G3) before heading to the sidelines for the remainder of the year. 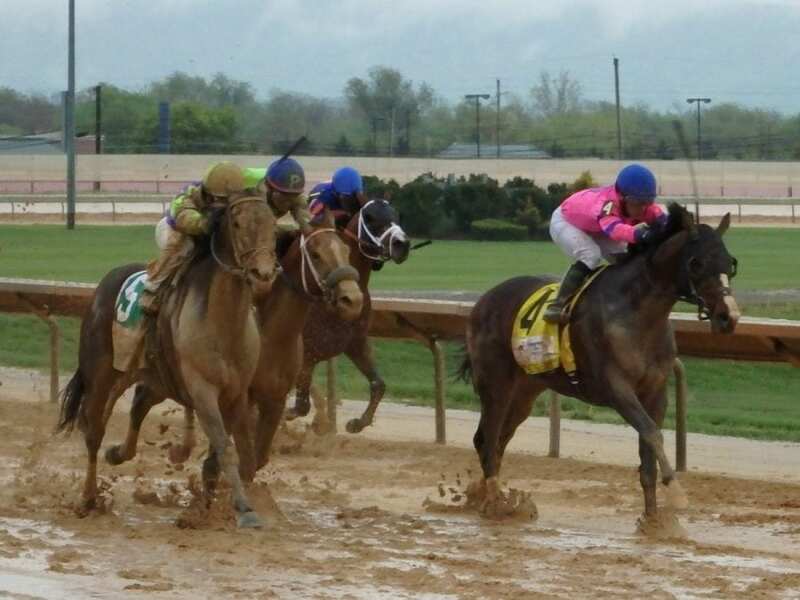 Trainer Bob Baffert is no stranger to success in the Charles Town Classic having won the race in 2013 with Game on Dude to go along with the popular gelding’s runner-up efforts in 2011 and 2014. The Hall of Fame trainer is represented by a quartet of horses in the nominations, with the most prominent being multiple Grade 1 winner Hoppertunity. Two-time Kentucky Derby-winning conditioner Todd Pletcher has a total of 11 horses in the nominations, including Hedge Fund, who is under consideration for the race after winning the $300,000 Essex Handicap at Oaklawn Park in his last outing. A four-year-old son of Super Saver out of the Distorted Humor mare Rosy Humor, Hedge Fund would be looking to emulate the feat of big brother Stanford, who took the Charles Town Classic in 2016. The Grade 1 Santa Anita Handicap has produced a Charles Town Classic starter in eight of the nine previous editions of West Virginia’s richest race and two of the top four finishers in this year’s ‘Big Cap could follow suit. Under the care of trainer Efren Loza, the multiple graded stakes winning Fear the Cowboy earned a Grade 1 placing in his last start by checking in third behind Accelerate and Mubtaahij in the prestigious race. Should he go in the Charles Town Classic, the well-traveled son of Cowboy Cal would be making an appearance at the 15th different track in his 30th career start. Right behind Fear the Cowboy at Santa Anita was the Peter Eurton trained Giant Expectations, who finished fourth following an awkward beginning. Giant Expectations is a graded stakes winner at both sprint and route distances with victories in the 1 1/16 mile San Antonio (G2) and 7 furlong Pat O’Brien (G2) on his resume. The list of graded stakes winners appearing in the Charles Town Classic nominations also includes, among others, recent Gulfstream Park Hardacre Mile (G2) winner Conquest Big E; 2017 Affirmed (G3) victor Dalmore; 2017 Kentucky Derby runners Hence, Gunnevera and Irish War Cry; One Liner, who won last year’s Southwest (G3) at Oaklawn Park; 2018 General George (G3) champ Something Awesome; and 2017 Brooklyn Handicap (G2) winner War Story, who is expected to make his next start in the race. Nominations for three additional unrestricted stakes all run at 7 furlongs – the $100,000 Dance to Bristol for fillies and mares 4&up, the $85,000 Robert Hilton Memorial for three-year-olds and $50,000 Russell Road for horses ages 3&up – close this Saturday, April 7.